I don't normally even notice Easter is here until a couple of days before, but for some reason I couldn't get bunnies out of my head. 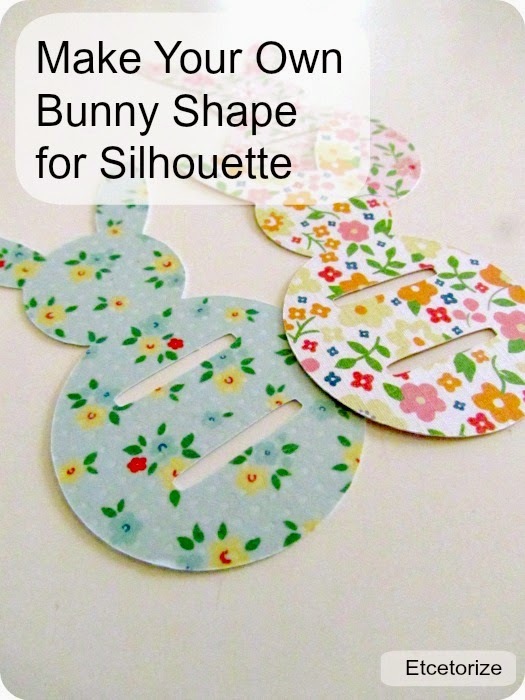 You can purchase bunny shapes for your Silhouette cutting machine from the online store, but I found that it was just as easy to make my own. All you need is the Silhouette software and machine and some pretty papers. 1) Start with a basic circle. 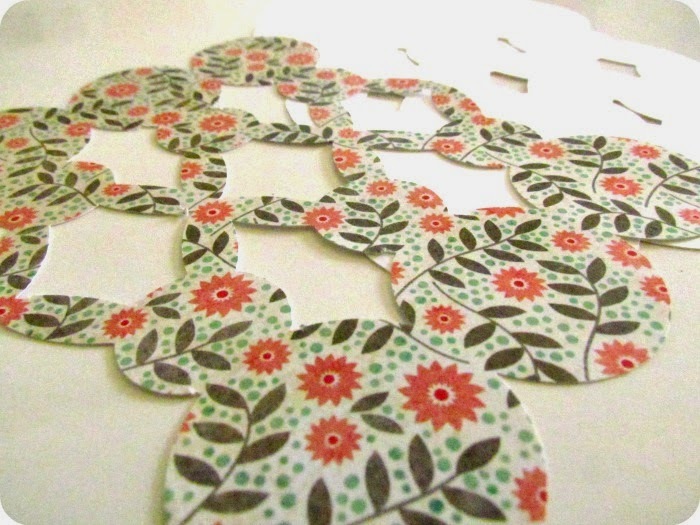 This can be any size, you can always shrink or expand the shape once you've completed the whole thing if you want. This will be the head. 2) Add another, slightly larger circle below and overlapping just a bit at the bottom of the first circle. 3) Now we need to add some ears. Use your circle button but don't hold down the shift key. This way you'll be able to make a nice long skinny oval. 4) Use the mirror right button to make the other ear. 5) Now select everything and group it. There you go! You made a super cute little bunny. Now for some even easier projects! Before you start the first project make sure to make a copy of the shape above and set it to the side. 1) Using the replicate button, copy the shape two times to the right and then move them over just slightly so that they're overlapping on the sides. 2) Select everything and group it. 3) Keep your shape selected and hit the Mirror Above option. Again, move the shapes just a tiny bit so that they're overlapping at the ears. 4) Select everything and group it! 5) Select your shape and hit the Offset option in the bottom left hand corner of your screen. 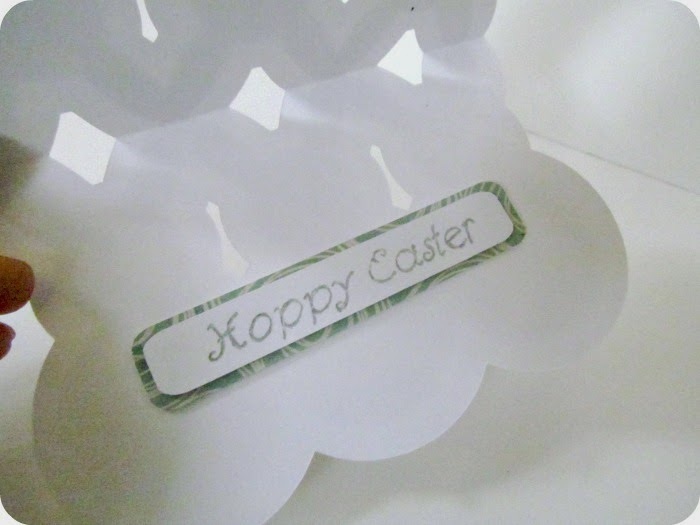 6) Now just move the inner bunnies off the page so that you can cut the background piece from some plain cardstock. 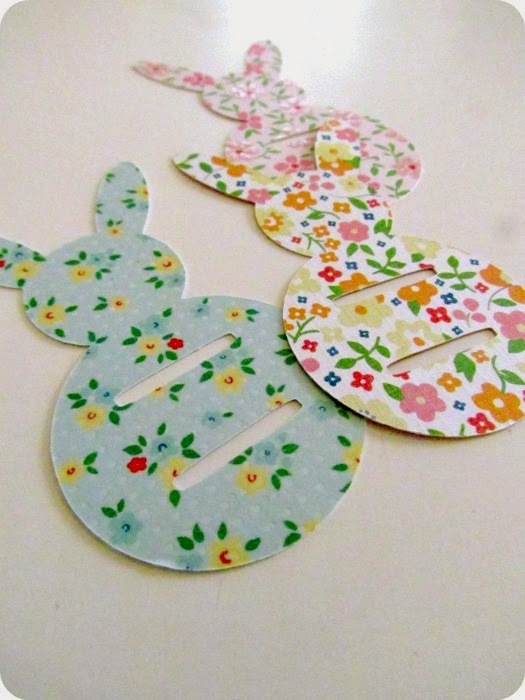 7) Move the background out of the way and cut the inner bunnies from some pretty printed paper. 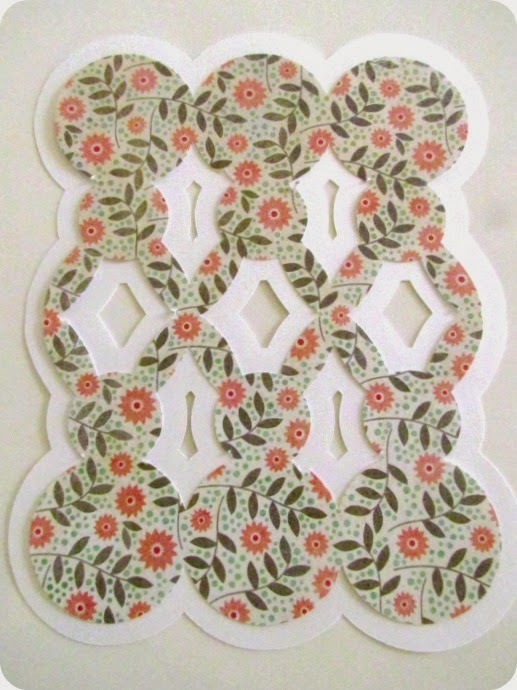 8) Using your favourite adhesive, glue the pieces together and fold down the middle. 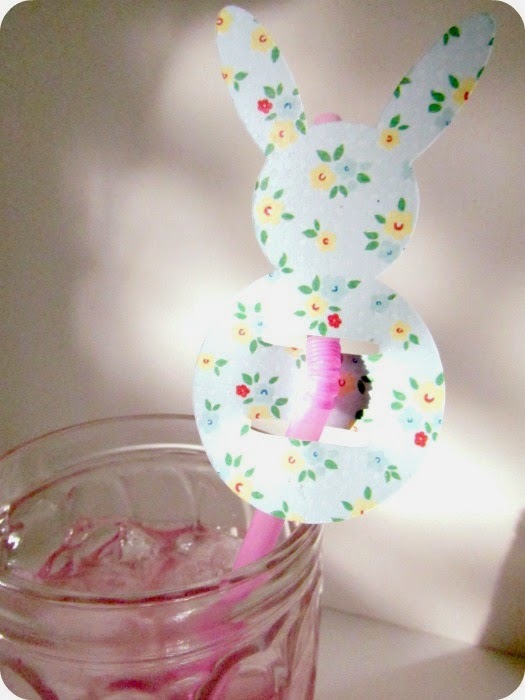 Straw Holder - Once you have your bunny shape completed this project couldn't be any easier. 1) Remember that little bunny copy that you put to the side earlier? Now is the time to pull it out into the spotlight. Now just use your oval tool to add two little slits in the body of your bunny, group it, and you're ready to cut! There you go! I might even make a banner with this shape, or some more cards! What will you make?? 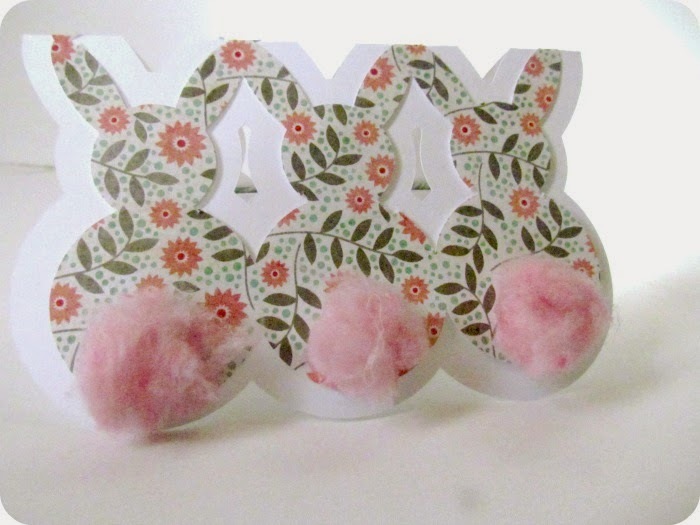 Those bunnies are adorable....love the mini-prints you used, too! The straw holder is such a cute idea. I love that bunny design before it is folded into a card. Sort of an abstract rabbit! I don't have a sihouette, but a girl can dream...lol. Someday when I get one, this tutorial will come in handy.